At this time of year, a lot of us are clipping our horses to make them more comfortable when working. A few are also doing it all year round, especially with those older Cushings teddy bears! I know with my first pony, when she started to grow that thick pelt, I spent more time clipping in the summer than in the winter! I’m lucky enough to now have another lovely older pony with Cushings for my children, and I’m falling back into hat pattern again. Fortunately for us, Rascal has literally been there, done that and got several of the t-shirts during his varied career, and for him clipping is a walk in the park. In the summer I was giving him a bib clip loose in the field with my battery powered trimmers while he had a nap in the sunshine! An awful lot of horses, however, don’t find clipping quite so therapeutic. For every one I’ve met who almost leans into the clippers like they would a good scratch, I’ve met just as many who struggle to stand still and submit to it, and a few who are downright terrified. The horses who become terrified are not only upsetting, for both ourselves and for the horse, but often downright dangerous. Often the best and safest solution for everyone for theses horses is to ask a vet to sedate the horse. 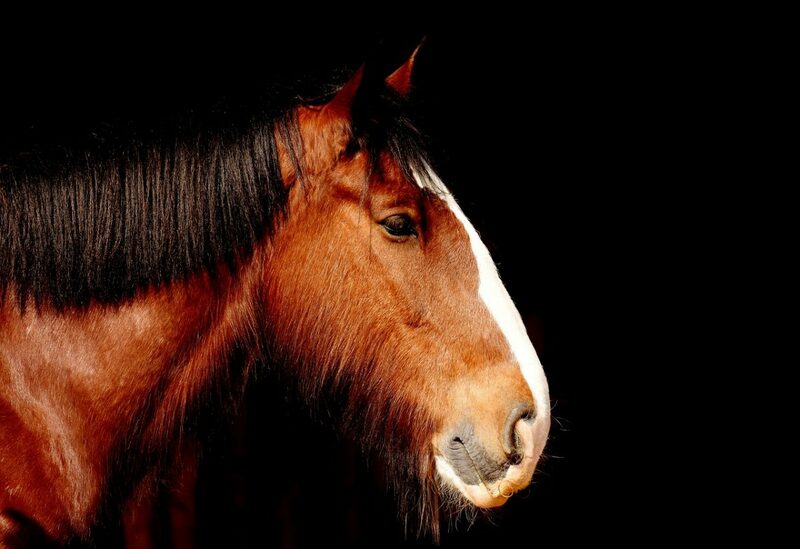 This is not without risks; the truly terrified horse can still have a reaction, and it can seem to come out of nowhere as their normal body language is muffled by the effects of the sedative. I remember distinctly holding a cob mare a good few years ago while someone else clipped her belly, and she had been sedated because she did NOT like her belly being touched at all (now, I might have a few ideas as to why that might have been, but at the time we just dealt with it). This horse went from seemingly completely doped, to kicking the clipper handler in the head, within about half a second, and if she hadn’t had a hat on I dread to think what would have happened. So if you have a horse which struggles to cope, it can make clipping very complicated and extremely frustrating. When you are trying to get that neat line down the side of the face or a blanket line which doesn’t look like it was done by Shane McGowan, and your horse JUST FIDGETS at the EXACT WRONG TIME it can be infuriating. I know, I’m an absolute perfectionist when it comes to clipping; I did a trace clip this year on a lovely dark bay horse in poor light, then realised once I’d finished and didn’t have time to go back that the line on one side appeared to be a visual representation of a radio wave!! It is causing me almost physical pain every time I look at the poor boy, and I’m praying his coat will grow enough to be clipped again before the spring so I don’t have to keep looking at it!! It can be easy to get irritated, and want to hold a leg up, trap them against a wall or reach for a twitch when the daft thing won’t just stand still. After all, don’t they realise you’re only doing it to make them more comfortable, and the more they fidget the longer it’ll take?? Keep an eye out for part 2 coming soon! Don’t miss out on more great articles, sign up to our newsletter today! A horse on my yard was getting ready to be clipped last week and the owner was very apprehensive, apparently this is always very traumatic. However, having seen something on YouTube where a horse which was difficult to shoe stood quietly with a piece of duct tape stuck on its nose, the very, very sceptical owner, who does everything very traditionally, decided to give it a go. She came to find me an hour later to say it had worked! I don’t know if not is something to do with a slight pull on the hair producing endorphins, perhaps others know a bit more about this? How interesting! If anyone knows why this might work – please let us know! Previous Previous post: Are you confident? Ethical – what does it mean to you? We respect your privacy. You will receive an activation email when you subscribe.